According to the IAEA, Iran strictly abides by the terms of the JCPOA, while the international community is unable to do the same, no matter how much politicians in the EU and other countries would like to stick to its provisions - all because of US pressure. 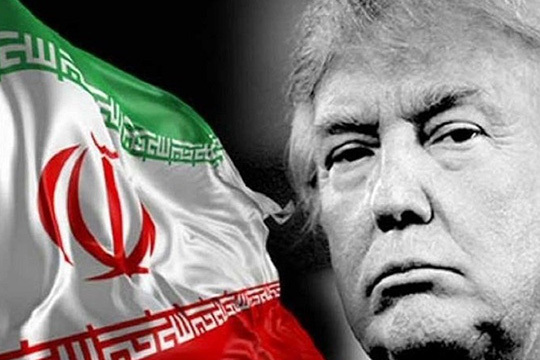 In 2018, some 100 foreign companies, including big ones as Shell, Volkswagen, Daimler, Peugeot, Airbus, Total, PSA, Siemens, and Russia’s LUKOIL and Zarubezhneft, started pulling out of Iran even before the US sanctions, announced by President Trump in May, actually took effect. However, although bending under Washington’s pressure, the authors of the 2015 Iran nuclear deal (Russia, China, Britain, France and Germany) as well as the European Union as a whole and many other countries around the world are still interested in keeping the nuclear accord alive. Why? First, the JCPOA is a truly historic document which, possibly for the first time ever (not mentioning, of course, the Treaty on the Non-Proliferation of Nuclear Weapons - NPT) has curbed the nuclear ambitions of a particular country and put its nuclear program strictly in line with international laws and IAEA requirements. This is a vivid example of the world countries’ effective diplomatic work, which created a precedent of genuine confidence of the parties for the sake of preserving the nuclear non-proliferation regime. Providing legal assistance to companies doing business with Iran. The practical implementation of the EU-declared blocking statute , which declares null and void US sanctions against Iran on its territory, prohibits European companies from observing them, as well as implementing any decisions by foreign stemming from these sanctions. The blocking statute also allows European organizations to take legal action to make up for the losses incurred as a result of the implementation of sanctions at the expense of persons who caused these losses (meaning the US government). This will be an extremely difficult task for Europeans, both from “political” (a real challenge to the US) and technical standpoints. EU foreign policy chief, Frederica Mogherini, said: “The involvement of the Finance Ministers of the E3 [France, Germany, UK] is of key importance at this stage. They are working hard to finalize it. I cannot tell you a date, but I can tell you that work is continuing and is progressing in a positive manner." What can Tehran do under these circumstances? First and foremost, it should establish a business triangle of Iran-EU, Islamic banks and Islamic small and medium-sized businesses, build close trade and economic partnership with European and other small and medium-sized businesses. This is quite feasible because the Americans will find it hard to keep an eye on a huge number of enterprises, much less trace their transactions in Euros, especially if the European Union contributes to suchcooperation with Iran. It seems that, in view of the situation at hand, Tehran should also recall its oil-for-goods project with Russia, prepared back in 2014, whereby Iran supplies oil to Russia (at least 100,000 barrels per day - about 5 million tons a year) in exchange for industrial equipment and machinery. Four years ago, the plan was never implemented in full because Iran, already withdrawing from the sanctions regime in keeping with the JCPOA, was no longer interested in it. In 2012-2016, the IRGC set up a large-scale system of circumventing the sanctions by controlling considerable "gray" financial flows to, through and out of Iran. IRGC intelligence was gathering information abroad about the “weak” spots in the sanctions system, about the most effective ways of circumventing sanctions, and was also obtaining data on new technologies Iran was not allowed to buy. The opinion of the author does not necessarily reflect the position of the Editorial Board. Zarubezhneft sold its assets in Iran to Promsyryeimport, which is part of Russia’s Energy Ministry. In November, the US Treasury Department put Promsyryeimport in its sanctions list. The blocking statute was implemented only once, in November 1996, in response to US extraterritorial sanctions against Cuba. IRGC is not only a powerful military-political, ideological, police and intelligence organization, but also an all-embracing financial and economic establishment. 769: 30 seconds to mars. Iran: Which way to go?5 December 2018: Iran: Which way to go?! лучшие комедии. Iran: Which way to go?.